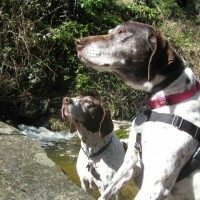 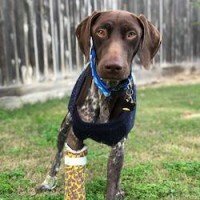 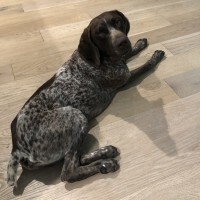 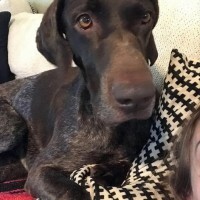 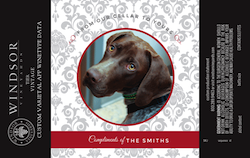 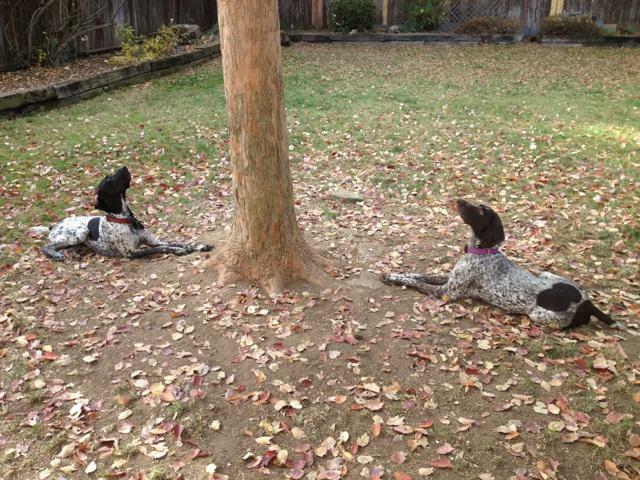 This 3 year-old beauty has got the typical GSP personality, part love bug, part hunting dog. 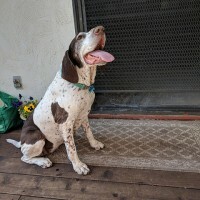 She loves to snuggle, but she’s also equally happy to hunt out squirrels in the yard all day. Lucky for her she found a forever-family and GSP sibling who loves to do the same thing (more the dog likes to hunt squirrels and the family watches and takes pics)! 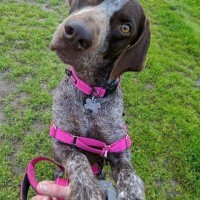 Gretel is so excited to have found a home that will show her lots of love and make sure she gets the exercise she needs as a young GSP. 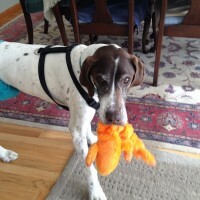 Gretel certainly followed the bread crumbs to find this forever-family!